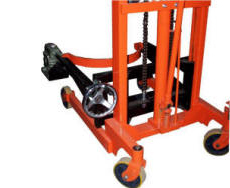 Powered Lifting Standard Oil Tank Stacker(Load:300 kg)POTR-03/2400(POTR-03/2400) - Noveltek Industrial Manufacturing Inc.
◆ Hydraulic system uses a unique circuit and structure, so that hydraulic pump even more robust and durable. ◆ While the fixed seal design, can be completely closed to prevent leakage and to achieve the effect, coupled with specific buffer design , users can freely control the rate of decline. 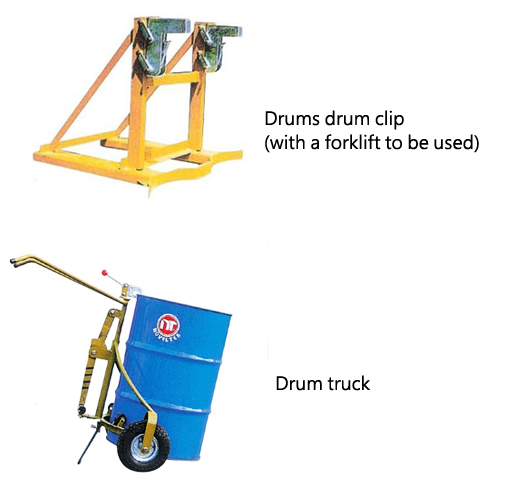 General equipment are following 50 gallons drums "drum" as the design standard, so if your normal flow of 50 gallons of non-barrel drum, such as all kinds of plastic barrels. 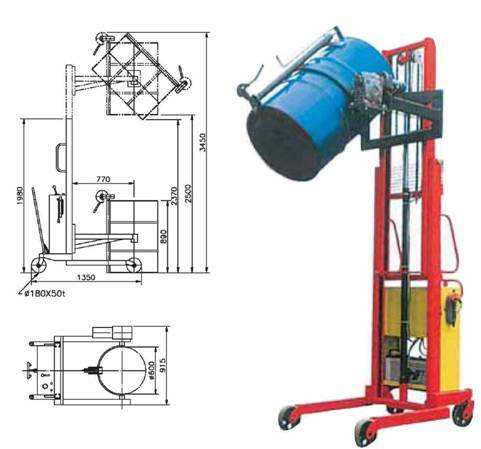 Other capacity drum, drum on the cover, the special shape of barrels, it is recommended to provide a sample barrel, so the designer will be designed to fit under the barrel of the fixture, turn only when safe. 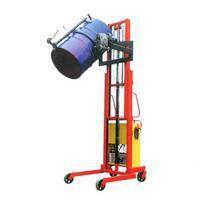 Can share all kinds of variety of bucket? 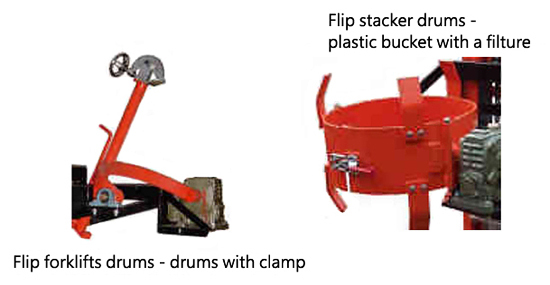 The answer is not feasible, because the drums and plastic barrels in varying degrees of arc, when forced to share the oil will make the flip clip does not clamp tight and loose, at present only 50 gallon drums and plastic barrels sharing model, no other design.